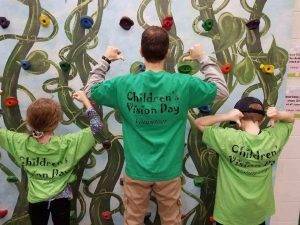 Children's Vision Day, supported by the Michigan Optometric Association, was held on March 3rd, 2018 at the Flint Children's Museum's area within the Flint Farmers' market. The event is coordinated annually by Dr. Belill to raise awareness about the importance of wellness visits to an eye doctor starting in early childhood. He was assisted this year by two optometry students (Tim and David) plus two special helpers (his children Samuel, age 10, and Kathryn, age 8). 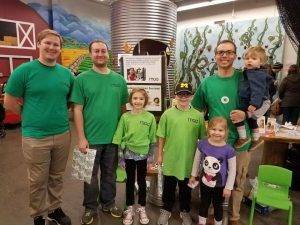 Families that participated were given prize bags filled with fun eye-themed activities for the kids along with informational brochures about pediatric vision care for parents to review later. The American Optometric Association strongly recommends all children have preventative exams with an eye doctor beginning at 6 months of age, then at age 3, followed by before starting kindergarten and then annually through the school years. 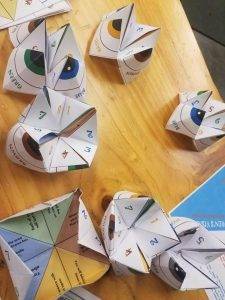 Since 80% of learning is visual-based, it is vital for early detection and treatment of visual disorders to ensure that all children have the tools necessary to succeed in the classroom. Unfortunately, an estimated 86% of kids do not have a comprehensive eye exam before starting kindergarten. 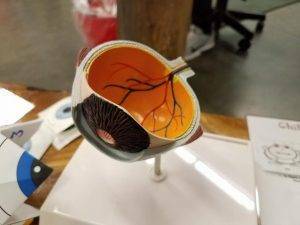 In addition, many of the estimated 25% of school-aged children have undiagnosed or untreated visual disorders that could be negatively affecting their quality of life. Other topics that were shared with parents to raise awareness was the importance of sports eye injury prevention and the potential health hazards of excess exposure to high energy blue light from digital devices. 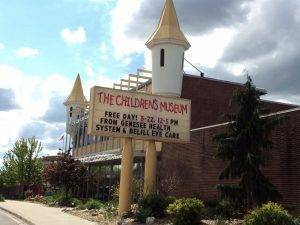 The overall goal of this annual event is to improve the eye health and visual experiences of children in the future.